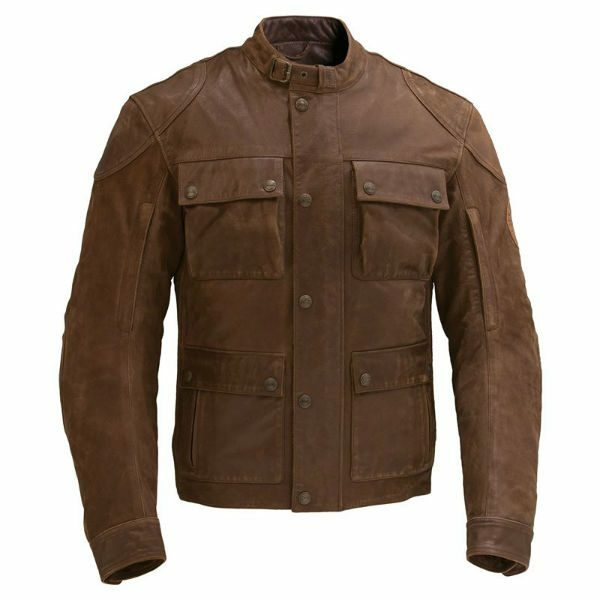 This is a stunning example of a truly classic leather motorcycle jacket. 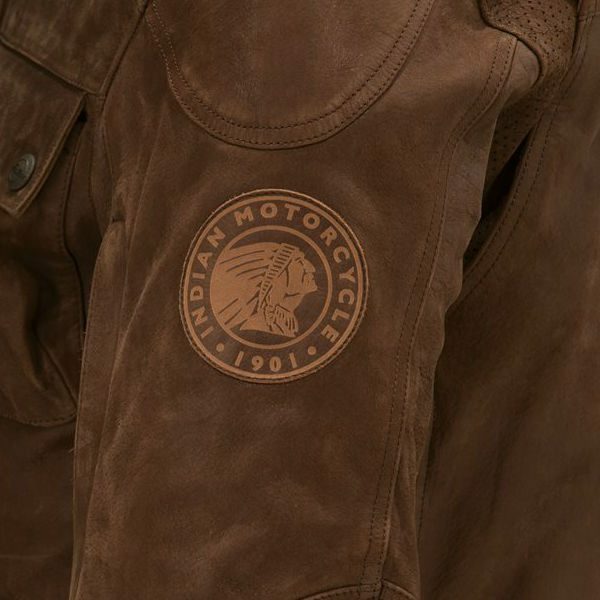 The Indian Benjamin jacket is 100% leather and includes stretch panels for comfort and perforated sections for ventilation. 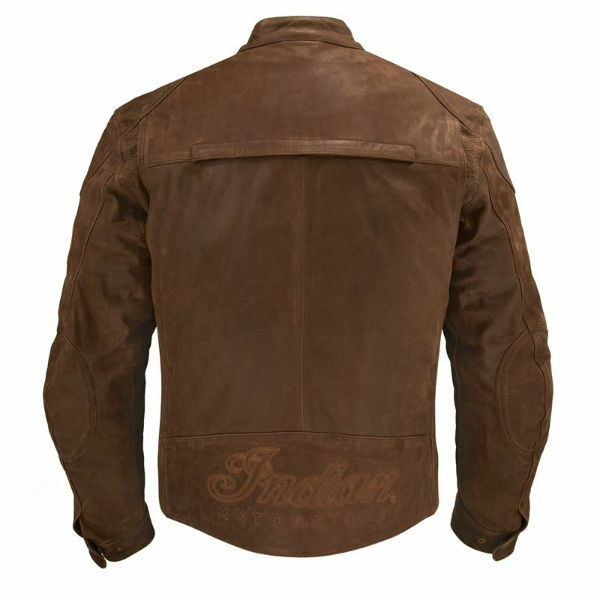 The brown leather is a brushed / suede finish and feels soft and supple, which makes it a super comfortable bike jacket. The Benjamin jacket has four popper pockets at the front and two zipper pockets, as well as zip ventilation on the arms and back. 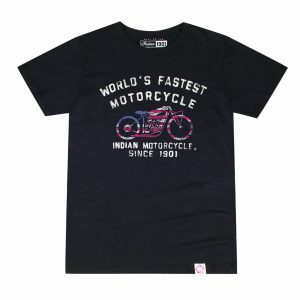 It has the Indian Motorcycle Logo stitched onto the lower back of the jacket as gentle branding and Indian detailed popper buttons on the front of the jacket. The removable sleeveless lining is quilted with red chequered pattern, which adds to the timeless styling and keeps you a little warmer on a chilly day. As for protection, it comes with Knox armour in the elbows and shoulders and has a pocket for back protection, so you can feel safe and secure knowing you wearing are proper motorbike jacket, but still pulling off the classic leather jacket look. 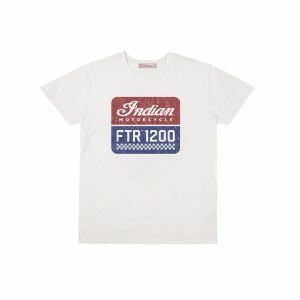 Greg Brew, Director of Indian Motorcycle Industrial Design, gets an insight of some of American picker, Mike Wolfe’s favourite pieces from over the years, as the two discuss the brand’s significance in American motorcycle history.